The Counseling Center is the university's primary facility for personal counseling, psychotherapy, and psychological outreach and consultation services. Their mission is to promote the psychological, educational, and social well-being of students at the University of Tennessee and to help prepare them to be productive members of society. Their staff members provide a variety of services for students, faculty, and staff, including: walk-in intake; crisis intervention; individual, couples and group counseling and psychotherapy; psychoeducational workshops; and consultation. Students typically receive a minimum of one year of practicum experience at the Counseling Center. Cherokee Health Systems serves residents of the Lakeway region of East Tennessee. Through its main office in Knoxville and satellite clinics located throughout its service area, Cherokee provides a comprehensive array of clinical, consultative, and community support services as well as medical treatment and integrative care. Outpatient behavioral services include individual, family, and group therapy; day treatment; and pharmacotherapy. Cherokee also provides a broad spectrum of evaluative services, including psychodiagnostic, forensic, psycho-educational, and vocational assessment. A strong commitment to influencing the psychological sophistication of the region is reflected in various programs of consultation and education offered to schools, physicians, business and industry, the courts, and other community agencies. Cherokee staff are licensed and certified by the State of Tennessee and national professional organizations. Training at Cherokee consists of supervised involvement in all phases of Center services appropriate to the specific training needs of each student. Clients are adults, adolescents and children, and the intervention strategies range from cognitive-behavioral, psychodynamic, family systems, and interpersonal. Students also gain experience with multi-disciplinary treatment teams. 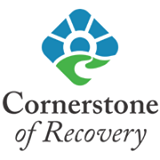 Cornerstone of Recovery is a residential substance abuse treatment hospital that treats adult patients from across the country. Students at Cornerstone gain experience conducting family therapy sessions, facilitating group therapy sessions, participating in interdisciplinary treatment team meetings, and administering comprehensive structured intake interviews and other assessment procedures. Cornerstone's treatment philosophy integrates Jeffrey Young's cognitive-behaviorally based Schema Therapy with a traditional AA/NA model. They also utilize family therapy techniques and appropriate psychopharmacological treatments. Knoxville Family Justice Center serves domestic violence and sexual assault victims in the community. The mission of the Knoxville Family Justice Center is to provide victims of domestic abuse with a single location to access advocacy and other services necessary to build a future of choice, safety and opportunity. This comprehensive support center provides co-located services for victims and their children including prosecutors, detectives, clergy and social service professionals.